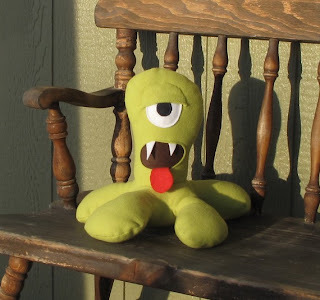 There are many cute monsters waiting to be adopted at Cottage Monsters, but as soon as I saw Gunther here, I could look no further! He appears to be a Cyclopean Pentapus, or are they called pentapods? I don't know, I'm no expert! 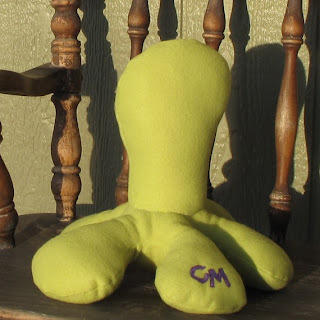 What I know for sure, is that he is one handsome one-eyed, five legged cephalopod type and that is really all I need to know! If you need to know more go to Cottage Monsters yourself and do some investigating of your own!